First Expressions offers an amazing prenatal experience for expectant parents wanting to capture a sneak peek at what their unborn baby will look like. In live 4D motion, you’ll be able to determine the baby’s gender (if you wish), and capture them yawning, smiling, waving or sucking their thumb. Remarkable images that you’ll cherish for a lifetime! We know you have choices when it comes to elective 3D/4D ultrasound studios and we’d love to take this opportunity to introduce you to our facility. At First Expressions we pride ourselves by adhering to the highest of standards. 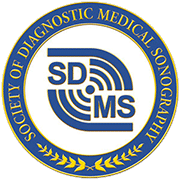 Our Ultrasonographers have years of experience and are licensed in OB/Gyn RDMS, are Accredited by the American Institute of Ultrasound in Medicine (AIUM) and are members of The Society of Diagnostic Medical Sonography. At First Expressions, we provide a relaxing environment for your family and friends to share in the experience with you and offer a variety of packages and services to enhance the value of your ultrasound experience.